With Halloween just over a week out, Fairbanks is looking at the potential of a third straight year with minimal snow cover, and a possible first ever green Halloween. Only trace amounts of snow were on the ground at the airport on October 31st last year, and in 2016. Alaska Center for Climate Assessment and Policy climate specialist Rick Thoman says prior to 2016, you have to go back to 1962 to find another year with such scant snow cover on Halloween. Thoman says since modern record keeping began in 1930, Fairbanks has never had a Halloween without any snow at all on the ground. 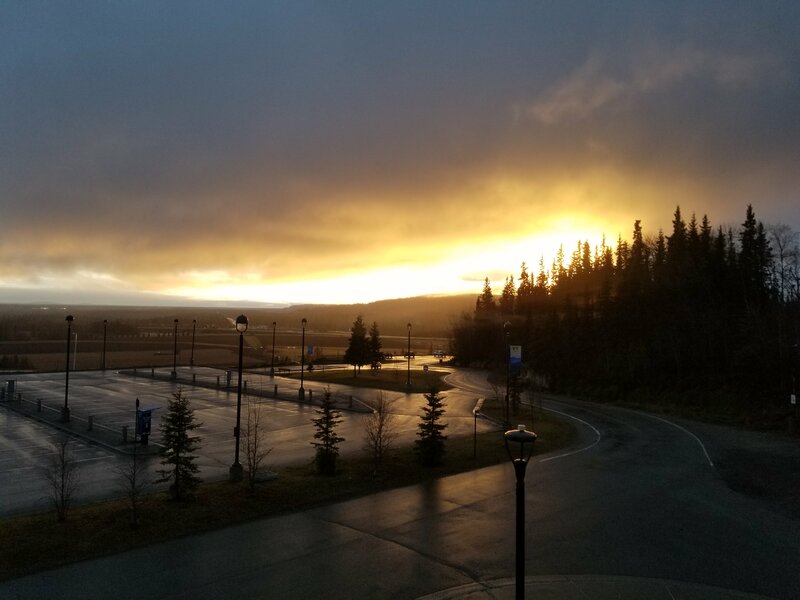 Fairbanks first official snowfall of the season at the airport was observed on Saturday October 20th, the latest first snow date in the community’s recorded history. The previous record was October 11th, 1920. The National Weather Service is forecasting snow across the Eastern Interior including the Fairbanks area on Tuesday, but valley level accumulation is questionable. Well above freezing high temperatures forecast this week threaten to melt any flakes that do stick, continuing what Thoman refers to as a remarkable fall. Fairbanks high temperatures are forecast to be 44 Wednesday, 40 on Thursday, and 39 Friday, with another chance of snow.